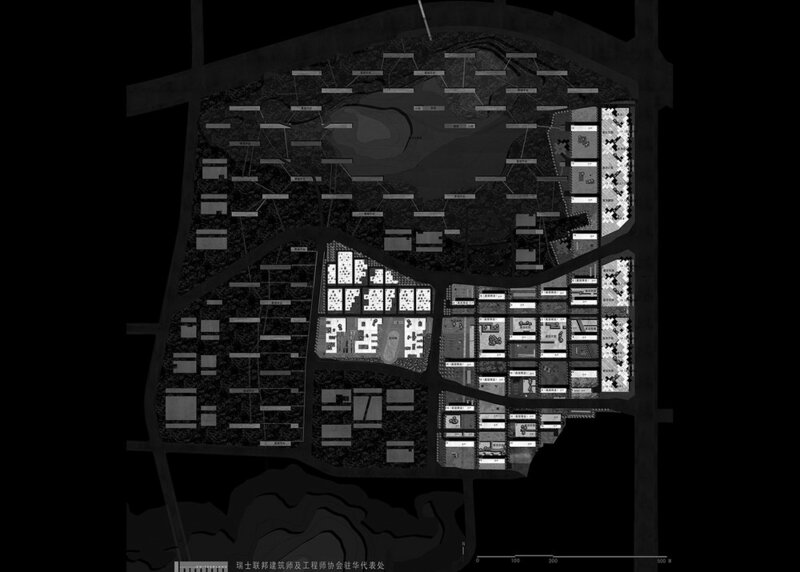 Project planning land is located in the west of Beijing, across the Shijingshan District and Haidian District, with the total area of about 129 hectares. We position this project as the upscale residential area where landscape planning, clubs, and other community facilities are equipped according to the high-grade planning standard configuration. The design theme of this project is "air courtyard", so we integrate the essence of traditional courtyard into the design, try to continue the texture full of Beijing lifestyle and bring new vitality in this high-density living era. We use the characters of “neutral and peaceful” in design, give people the feeling of prosperity. What’s the difference with the regionalism architecture design in European in the 1960s? It seems that it’s the introduction and understanding of site concept, which is rooted in dream-like life experience in Beijing; at the same time, it embodies Beijingers’ respect for their own lifestyle and cultural tradition when China is full of many different culture symbols such as Hong Kong, Taiwan, Europe and the United States. It’s our design purpose.